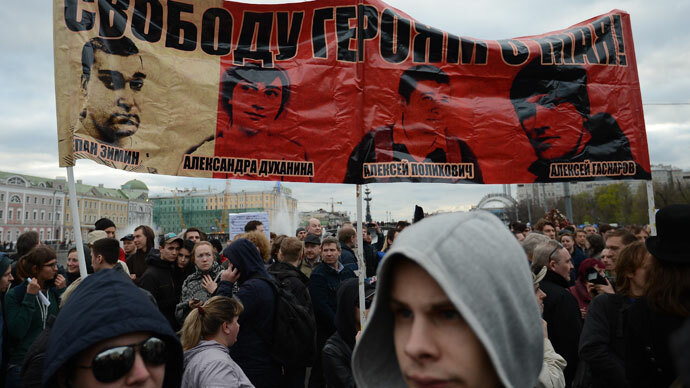 The Moscow city directorate for security has agreed to a request by opposition groups to hold a 20,000-strong rally in support of the so-called ‘Bolotnaya prisoners’ on October 27. The head of the directorate, Aleksey Mayorov, told journalists on Thursday that city officials had approved the activists’ application, even though it will require the blockage of several streets in the city center. Mayorov added that despite the high number of participants stated in the request, he personally did not expect that a lot of people would take part in the rally. 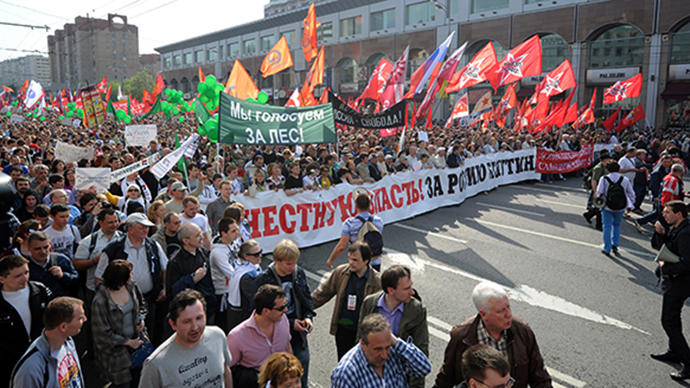 A short time earlier, one of the organizers of the event, Pyotr Tsarkov, informed reporters that the Moscow Mayor’s office had licensed the march from Pushkin Square to Turgenev Square along the Boulevard Ring, with a major meeting at the terminal point. Initially the opposition groups wanted not to stop at Turgenev, but to walk slightly over 1km further on to the Federal Security Service headquarters on Lubyanka Square and lay flowers to the monument to the victims of political repressions, the so-called Solovetsk Stone. This first request was turned down over security concerns, and also because it required changes to the routes of public transport, which the City Transport Directorate rejected. 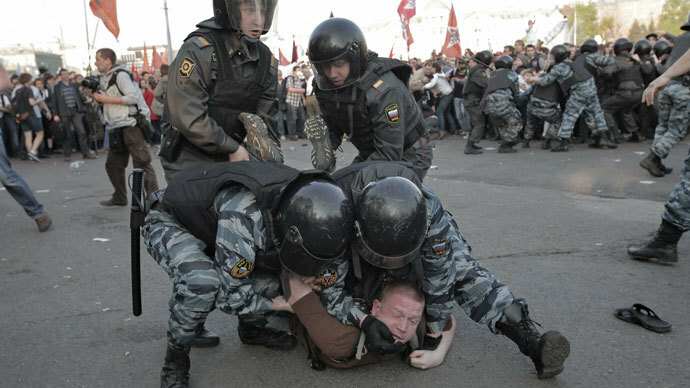 The rally is officially dedicated to the Bolotnaya Prisoners – about two dozen people who were detained after clashes between protesters and police that took place on May 6, 2012, on Bolotnaya Square in Moscow. Following the riots, law enforcers instigated criminal cases into calls for mass unrest and violence against representatives of law enforcement bodies. Two of the detained have already been sentenced to 2.5 years and 4.5 years behind bars respectively, and one man has been declared mentally ill and sent to a closed psychiatric ward for compulsory treatment. Eleven people are currently on trial and other separate cases are still in the investigation phase. 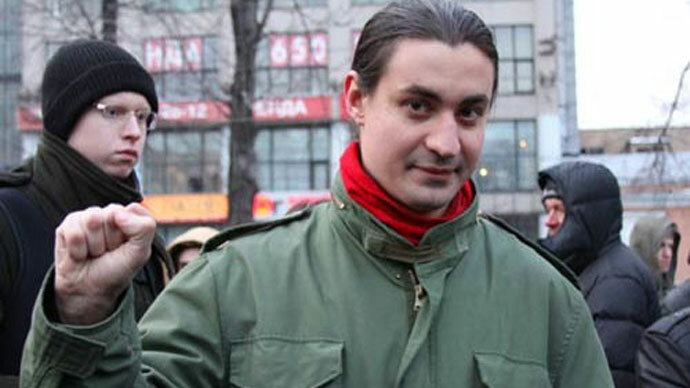 It should be noted that the Presidential Council for Human Rights has prepared and submitted to the president a bill on amnesty that, if approved, would cover all Bolotnaya cases. 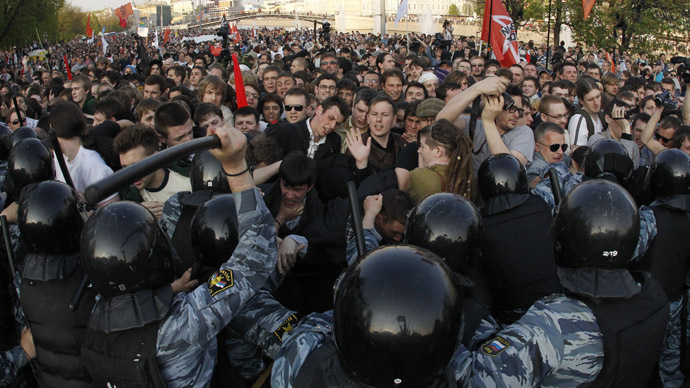 The planned amnesty is connected to the 20th anniversary of the modern Russian Constitution, which will be celebrated on December 12. President Vladimir Putin said in mid-September that he personally considered it possible to grant amnesty to the Bolotnaya convicts and suspects, but added that this should be done only after the cases pass all legal stages and urged serious consideration in discussing the problem.